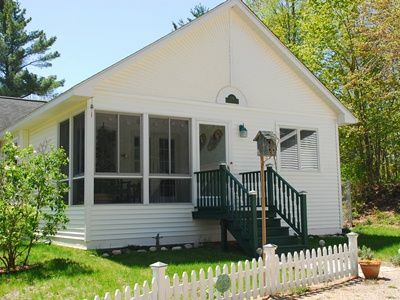 South Shore House is a charming (2600 sq ft) farm house situated in the heart of Sleeping Bear Dunes National Lakeshore. 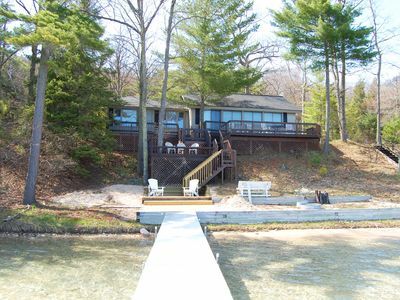 With over 100 feet of private frontage on Little Traverse Lake, our house is perfect for both children and adults. 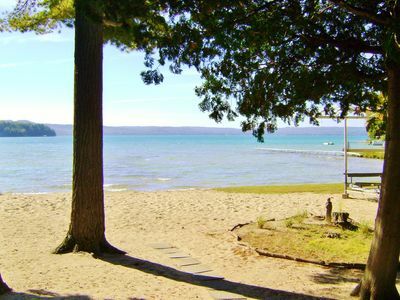 The lake stays shallow for awhile, and deepens for swimming, fishing, and kayaking further out. 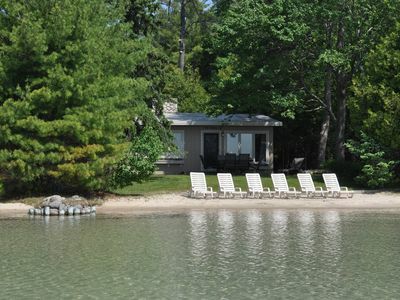 The beach area has a fire pit, outdoor chaise lounge chairs, dock, and hammock under the fragrant pines. 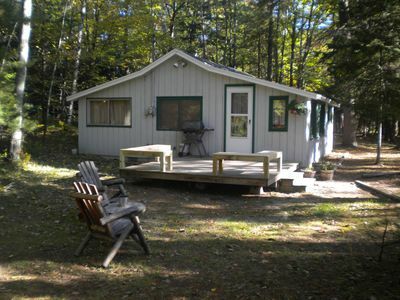 There is a large grassy area, ideal for volleyball, croquet, and other activities. 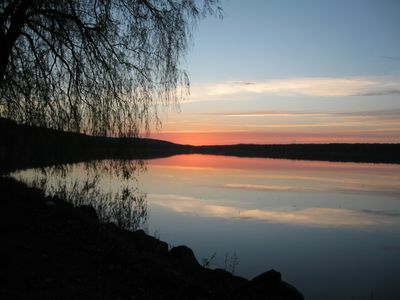 The quiet lake has different aspects with much to discover including beautiful sunset views and shooting stars. 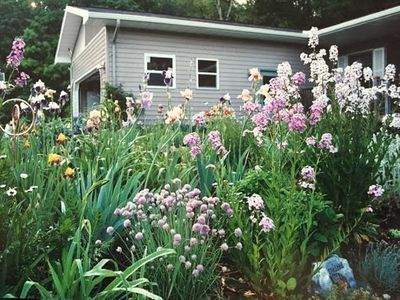 Our home is well-appointed and very family-friendly - room enough for several couples, or two families, or an extended family. 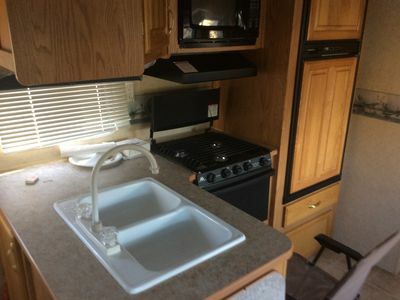 There is plenty of room for everyone to cook and eat together, find spaces to nap, read a book, play games, listen to music, or just take in the beautiful surroundings. 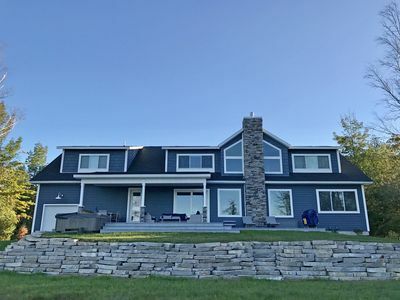 There are five bedrooms, three full baths, a laundry room, open floor plan, cable TV, high speed broadband wireless, fully equipped kitchen, large deck, and a gas grill. 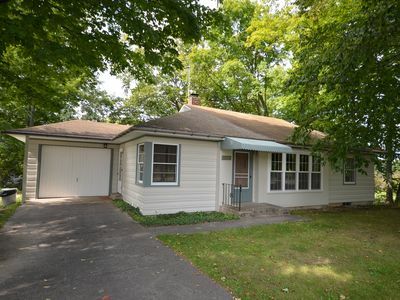 The upstairs rooms share a hallway bathroom. 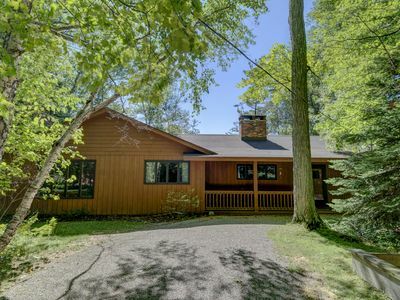 There is a third full bathroom downstairs off the lake entryway, laundry room, kitchen area. 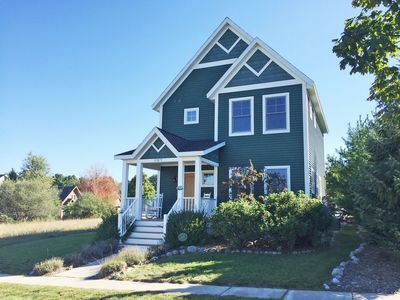 South Shore House is a stone's throw (50 yards) from Market 22 (deli, cafe, convenience store, market) and The Ugly Tomato (luscious heirloom tomatoes and local produce from a fifth-generation Leelanau farmer). 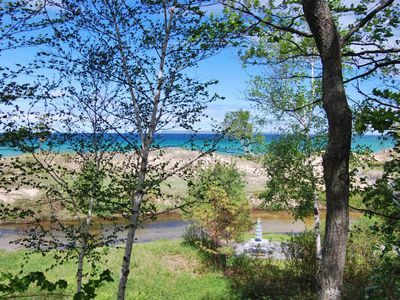 We are surrounded by over 70,000 acres of Sleeping Bear Dunes National Lakeshore offering some of the most pristine views in the world. 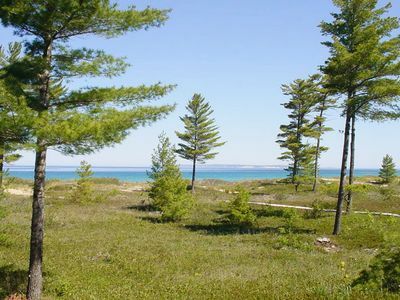 Glen Lake - Spectacular Dune Views & Complete Privacy! 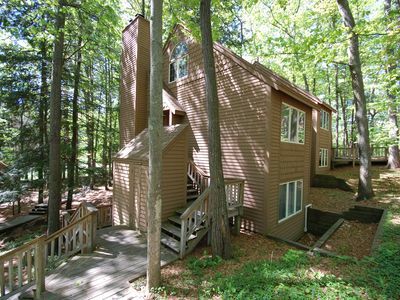 Big Glen Lake Cottage Near Downtown Glen Arbor with Fantastic Views! 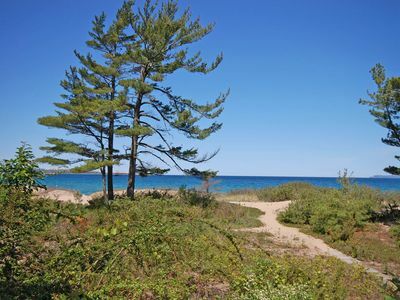 Lake Michigan Beachfront Condo in Glen Arbor with 4B/3B! 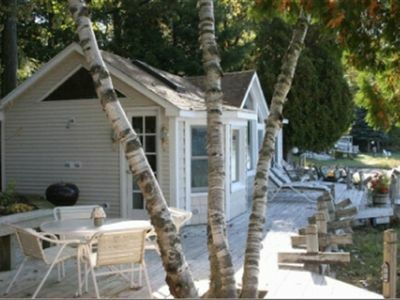 River Front 2b/2b Condo with Lake Michigan Access & Views in Glen Arbor! 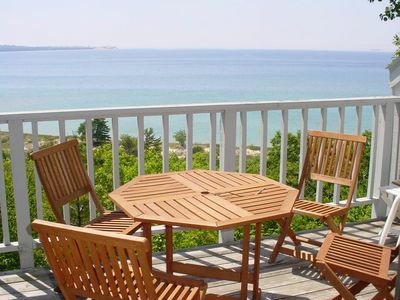 Clean, Comfortable 2b/2b Condo in Glen Arbor with Lake Michigan View! 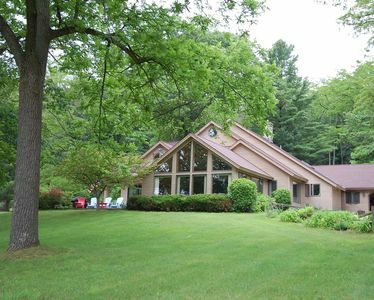 Pure Glen - A Large, Open, Beautiful Home with Big Glen Lake Frontage! 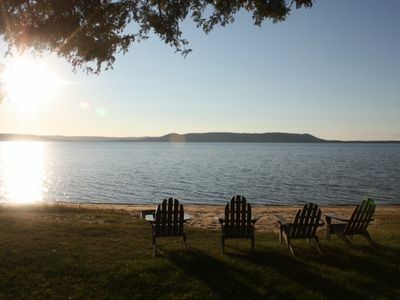 Sleeping Bear Glamping- Private Stachnik Meadowbrook Farm.